Roger Fouse KB5ROD contacted me earlier after our weekly club net to let me know the club received a QSL card in the mail today. 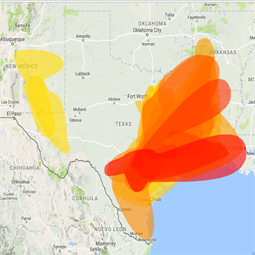 We went back and forth trying to guess if the card was for a contact made during Field Day or the Texas QSO Party. When Roger checked the date, he found something neither of us were expecting... the QSO date was on July 28, 2003! The significance in that QSO date isn't the fact that it's over 13 years old. 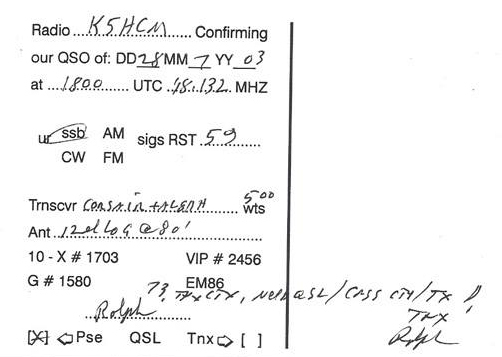 The significance in that QSO date is the fact that it was a QSO with Bob Jones K5HCM (sk). Bob passed away in 2008, and the club didn't officially adopt his call sign until May of 2013. 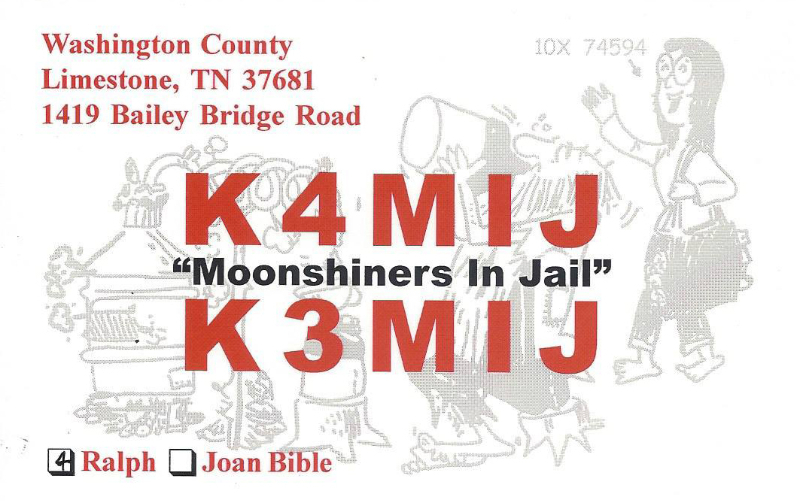 The QSO was made with Ralph Bible K5MIJ (Moonshiners In Jail). Ralph requested a return QSL card, and while he won't receive one from Bob for obvious reasons, Roger will send him a card from the club.